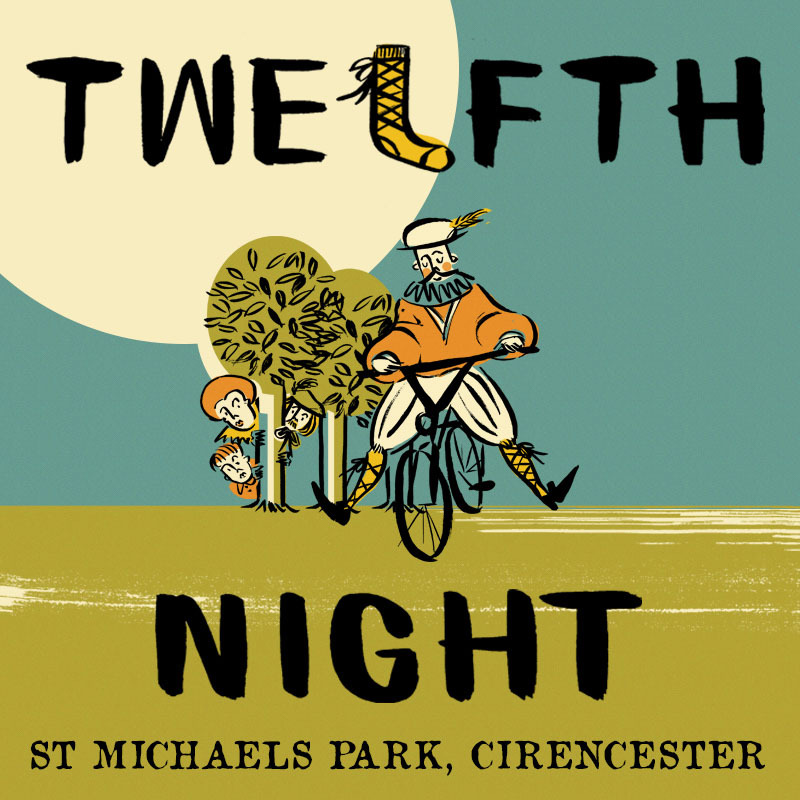 Join our all-male troupe at St Michaels Park in Cirencester for a bicycle-powered production of Shakespeare’s ‘Twelfth Night’ like none other. In usual HandleBards style, expect riotous amounts of energy, a fair old whack of chaos, and a great deal of laughter. Doors open at 5.30pm, so why not bring a picnic and come and enjoy the beautiful surroundings before the show? One ‘Under 16’ ticket is available free of charge with a paying adult. However, please add this ticket to your cart as well as the corresponding Standard or Early Bird ticket. Tickets can be brought digitally to the show, so please don’t feel like you need to print them!